Most of us know that state-level elections this year are especially important because of the 2020 census. State governments draw Congressional districts after each census, and the more state governments come under Democratic control this year, the more Republican gerrymandering can be undone after 2020. However, aside from that, the census itself deserves some attention. Trump's first nominee to lead the census, Thomas Brunell, has withdrawn after fierce opposition; there was every reason to believe he would have run the census in a flagrantly partisan manner (he has openly supported gerrymandering, for example). 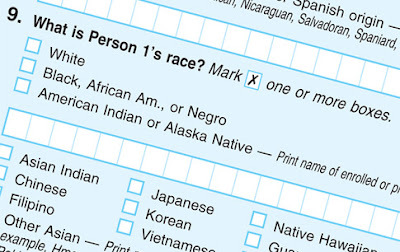 The details of how the census is conducted offer many opportunities for mischief. Some elements of the population are harder to count accurately than others, and how much effort should be invested in reaching them is a decision that can affect the accuracy of the result. Trump's next nominee will also need to be carefully examined. Other issues loom. Crazy Eddie's Motie News recently posted about the census, including a video which cites several problems. For one, the 2020 short form is likely to include a question on citizenship, which will make illegals less likely to participate, since they will justifiably suspect the government of using the information later to go after them. For another, public resistance to cooperating with the census has been rising steadily over decades, and is now at its highest point ever, partly driven by declining trust in government generally. Finally, while the cost of the census has risen dramatically each decade, the currently-proposed funding level for 2020 is the same as for 2010 -- that is, it makes no allowance for rising expenses. It's worthwhile to look at these issues in light of the Constitutional mandate for the census. It appears in Article I, Section 2, which prescribes how seats in the House of Representatives are to be allocated among the states. "The actual Enumeration shall be made within three Years after the first Meeting of the Congress of the United States, and within every subsequent Term of ten Years, in such Manner as they shall by Law direct." The preceding language specifying who should be enumerated and how has been replaced by Section 2 of the Fourteenth Amendment: "Representatives shall be apportioned among the several States according to their respective numbers, counting the whole number of persons in each State, excluding Indians not taxed." 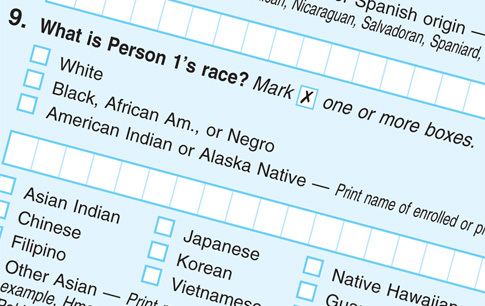 The fact that the mandate for the census appears in Article 1, and that the replacement language once again deals with apportionment of Representatives, makes it clear that the sole reason for the census is to determine how many House seats each state gets, which is to be done by "counting the whole number of persons in each State". There's nothing there that gives any basis for asking people what race or gender they are, whether they are citizens or not, whether they're married, veterans, employed, etc. It does, of course, technically give Congress the authority to add such questions, or any other nonsense that may happen to cross their minds -- "in such Manner as they shall by Law direct" -- but it strains credibility to interpret it that way when the context makes it clear that the only reason the Constitution mandates a census at all is to count people in order to allocate House seats. Why does the cost of the census go up so much every decade? Well, the population is larger each time, of course, but not by nearly enough to explain the huge increases in cost. A big part of the reason is probably that rising public resistance to participating. And why is that happening? Well, a big chunk of the population is just paranoid about government, but even those who are not are naturally resentful of the ever-increasing intrusiveness of the census questions. It wouldn't surprise me if a lot of the non-Constitutionally-mandated data collected over the last few decades is inaccurate, given the natural tendency of people to put false answers on their forms out of sheer annoyance. Unlikely as it is, I'd like to see the Democrats make an issue of this for the coming election. Article I gives Congress authority over how the census is conducted. Democrats should promise that if they regain control of Congress, they'll reduce the number of intrusive questions as much as is feasible, rather than increasing it yet again. This would make the public more comfortable with participating. It might sow a few doubts among conservative voters accustomed to stereotyping Democrats as advocates of ever-more-intrusive government. It would make it easier to conduct the census without another huge funding increase. And it would be the right thing to do. If the invasions of privacy keep getting worse, non-cooperation will eventually reach the point that the resulting data are clearly meaningless. And my race, gender, income, and whatnot are none of their damn business if I don't happen to feel like telling them. One final observation: Be prepared for the Christian Right to notice the wording "counting the whole number of persons in each State" and suddenly remember that they're supposed to believe fetuses are persons -- and launch a campaign to have the census count them as such. If this happens, at least some Republicans in Congress would feel obliged to take it seriously. Just imagine the opportunities for them to sound like utter lunatics while making proposals for exactly how this could be done. It might help us get a few more House seats. Or at least a few laughs.